Grapes are amongst the oldest arable crops of humankind, around 16,000 types of grape are known today. The grape berries are harvested when ripe and then dried in the sun or the shade until the humidity of the berries has fallen to 15 to 18 %. 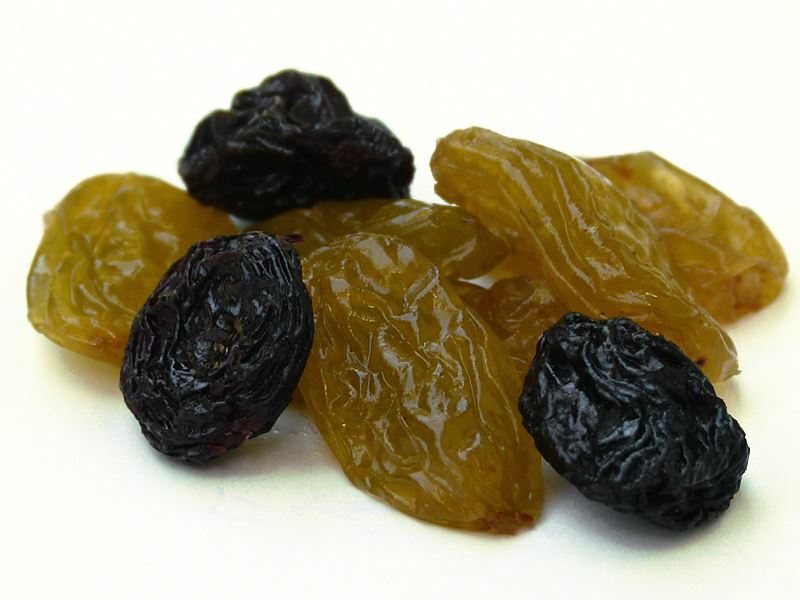 This causes the fructose to concentrate to about 33 %, thus giving the raisins their particular tasty sweetness. Out raisins are from the best cultivation areas of the world. They are ideal for nut mixes, muesli, sweets or as a snack between meals – and of course for baking. Raisins blue, organic (certified), USA, "Thompson seedless"